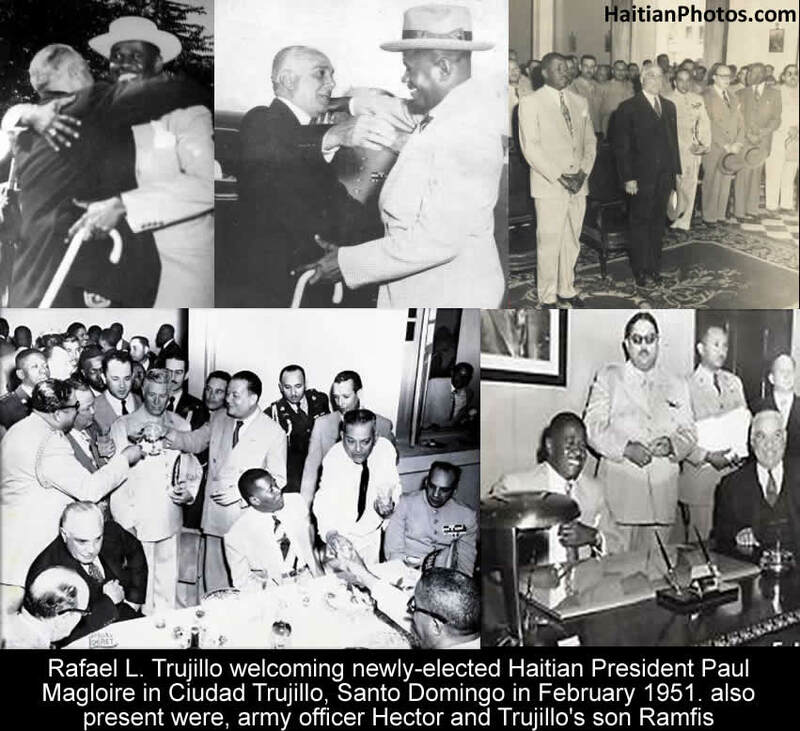 Rafael L. Trujillo welcoming newly-elected Haitian President Paul Magloire in Ciudad Trujillo, Santo Domingo in February 1951. also present were, army officer Hector and Trujillo's son Ramfis. Here is a picture dated back 1935. In this picture, you see Elie Lescot, Stenio Vincent and Rafael Trujillo of the Dominican republic. As you may remember, in 1937, over 20,000 Haitians were massacred in the Dominican Republic. This is to be called The Parsley Massacre. This was a government-sponsored genocide of the Dominican Government in October 1937, headed by the Dominican dictator Rafael Trujillo. 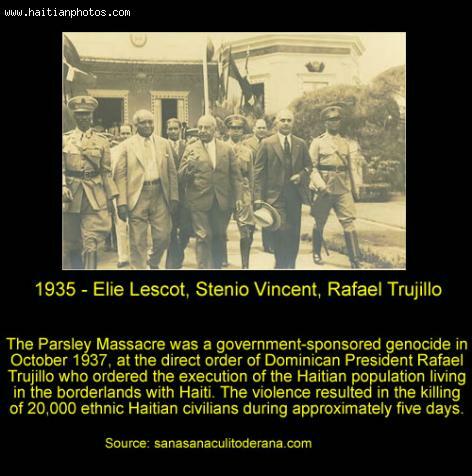 The massacre took place following a direct order of Dominican President Rafael Trujillo who ordered the execution of the Haitian citizens living in the borderlands with Haiti.